Terrie Lynn Harwell has spent most of her life serving in her community, her church and her job. 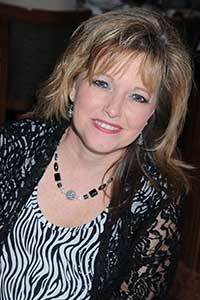 Terrie Lynn and her husband Rex moved to Burleson in 1992 and she became very involvement in the community. She received the Athena Award recognition in 2000. During that time her involvement included service as a Board Member of the Johnson County Children’s Advocacy Center, Burleson Chamber Ambassador, Huguley Home Health Civic Advisory Board Member and member of the Community Advisory Council for the Burleson Pregnancy Aid Center; she started the first Arts Council of Burleson and was an officer and member of the Athena Society. As a choir and sports mom during her children’s school years, her service was also evident in booster clubs and various school committees. The Harwell’s moved to North Fort Worth in 2013. Continued service included Grant Committee Chair for the Fort Worth Fossil Creek Development Center, working with various Senior Living groups including the Alzheimer’s Association and she was the Fine Arts Coordinator at Fossil Creek Community Church in Fort Worth where she is still a member of the worship team. Terrie Lynn’s attitude for service continues through her career in Senior Living where she has spent over 17 years serving Seniors and their families as they make the transition to Assisted Living and Memory Care. Originally from Wichita Falls, Texas, Terrie Lynn and her husband have three grown children, two daughter-in-laws and two grandchildren. Terrie Lynn feels that her greatest accomplishment in life is her three children and the fact that they have each grown up to be wonderful Christians, college graduates and good citizens who also give back to their community in various service organizations.